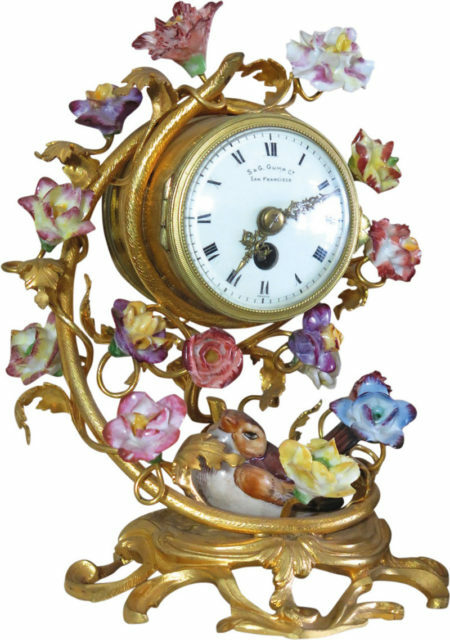 French Meissen style porcelain and gilt brass boudoir clock. This beautiful piece features a hand painted convex porcelain dial surrounded by delicate intertwined flowers and vines. This clock houses an eight day timepiece movement with balance wheel escapement. Marketed By S & G Gump Co. San Francisco. 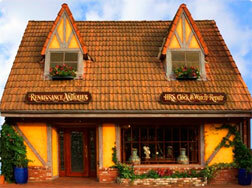 If you are interested in similar items, please contact us through our website or phone the Renaissance Showroom at 805-688-1976, open seven days a week from 10 to 6.